There is a strong link between Selenium and Influenza that your doctor is simply not going to tell you about. Selenium deficiency can cause you to have a decreased immune system response that can cause you to be more susceptible to the flu and to other viral infections that can even lead to Heart Failure from Selenium Deficiency. More importantly, selenium deficiency can cause the influenza virus to change into a MORE deadly virus that can then be given to others who were ALREADY immune to the previous influenza virus strain! Much like the link between Vitamin D and the Flu, this link between Selenium and Influenza should be much more widely known than it is. Doctors should be shouting it from the rooftops and people should be lining up to get selenium and vitamin d supplements at so-called flu clinics. Studies show that ensuring that everyone is selenium sufficient could have widespread impact on huge numbers of people – particularly the elderly or immunocompromised for whom influenza can be extremely serious, leading to pneumonia or even death. 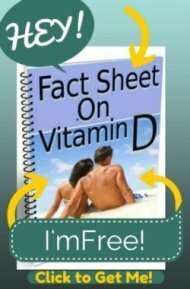 A lot more people are deficient than doctors believe. And while doctors don't believe that people in western countries could possibly be deficient in any nutrient, the fact is simply that most people don't eat the whole foods in sufficient quantities to meet their daily requirements for selenium. As symptoms of selenium deficiency are extremely subtle, these people may not know that they are selenium deficient, and certainly their doctor is not going to look for this problem either. To really understand the potential impact of selenium and influenza, it is imperative to understand the impact of selenium on the Influenza Virus itself. There have been many studies where mice were infected with an influenza virus that they were already immune to. In selenium deficient mice, the influenza virus actually BECAME a more virulent virus. This virus was then able to be passed to mice who were both selenium sufficient AND immune to the previous virus – yet they became sickened by this new more deadly virus! when given to Selenium-deficient mice. multiple changes in the viral genome..."
What this means is that Those Who With Poor Nutrition Put Us All at Risk for the Flu! 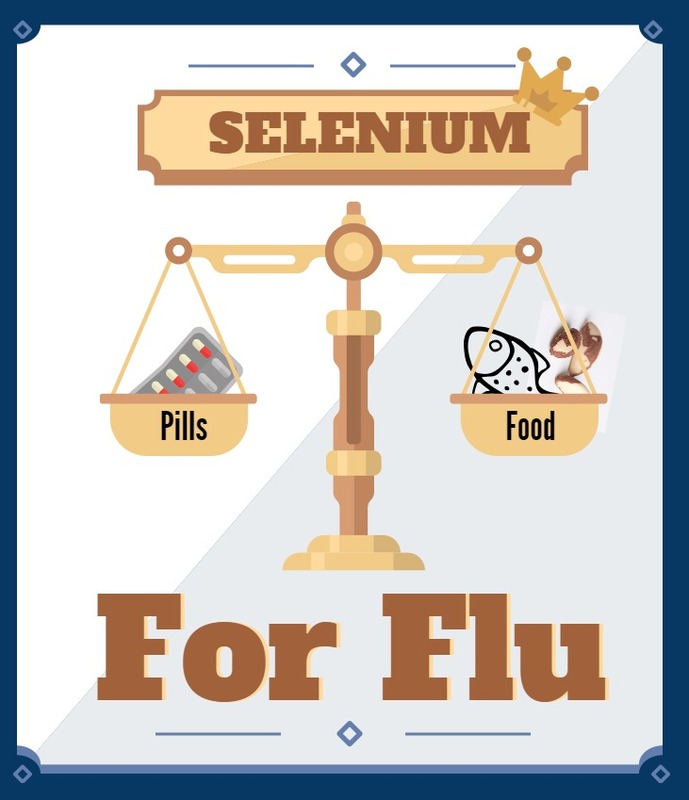 Selenium deficiency doesn't just make you SUSCEPTIBLE to the flu, but changes the VIRUS and puts others at risk for the newly mutated flu virus. This is a big deal. In many cases, the flu itself is not what causes so many people to before very ill or to die, but the COMPLICATIONS from the flu. The complication that causes the MOST problems are lung infections like pneumonia and pneumonitis. These problems happen because of the inflammatory response that happens as a result of the immune system going into high alert to get rid of the flu. The Facts About Selenium show that selenium tones down this inflammatory response, making YOU less likely to get pneumonia or other complications when you DO happen to get the flu. And this is VITALLY important because almost all deaths from the flu happen because of lung infections – not from the flu itself. In fact, in the 1919 flu pandemic that killed hundreds of thousands of people, young AND old- history continually mention how horribly and swiftly these lung infections killed so many. So, if these lung infections can be minimized using nutritional strategies like selenium, then deaths from the flu could be greatly reduced. Your immune system is ALSO affected by selenium as well. Selenium deficiency leaves you not only more likely to GET the flu in the first place, but the infection and complications seem to be worse as well. Studies on selenium show that it plays many roles throughout the immune system and helps to protect against pathogens in a variety of different ways. to microbial and viral infections…"
One of the better understood ways that selenium influences the immune system is by acting as an antioxidant. Antioxidants decrease the damage done by stress when we are exposed to infections. By decreasing the damage done, we allow our bodies to work more efficiently at getting rid of the infection rather than repairing damage done. This allows us to fight the flu much more efficiently and quickly. But so many people have subtle selenium deficiency because most people do not eat enough 'real' foods, the soils that those plants are grown in are deficient in selenium to begin with, or they experience selenium-depleting Side Effects of Statin Drugs. While it is possible to supplement -and selenium supplements are readily available- taking selenium in large doses is NOT recommended and can lead to Selenium Overdose. Keep reading to find out more about the optimal Selenium Dosage to take if you DO choose to supplement.